Two summers ago, Kylian Mbappe was celebrating passing his French high school exams and preparing to play for Monaco in an under-19s tournament. On Thursday, the 18-year-old striker joined Paris St-Germain – initially on loan – in a deal that will be worth 180m euros (£166m) by this time next year. The France international became the hottest property in European football as he scored 26 goals in all competitions for the Ligue 1 champions last season. But why has a teenager with just 46 first-team appearances and one full season behind him commanded a transfer fee usurped only by Neymar’s 220m euro (£200m) move to PSG earlier this month? 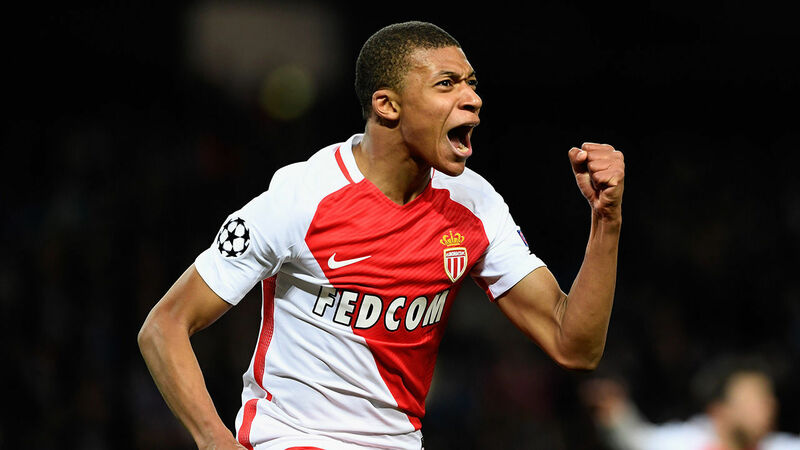 Arsenal were among the clubs reportedly keen on Mbappe, with boss Arsene Wenger likening the teenager to another Frenchman – one who joined the Gunners as a 21-year-old in 1999 and went on to become the club’s record goalscorer. “Mbappe has similarities to Thierry Henry,” Wenger said earlier this year.“He has a huge talent. Some similarities between Mbappe and Henry are obvious: both are graduates of France’s Clairefontaine academy, both started their career at Monaco, and both won the Ligue 1 title as a teenager. Mbappe also has blistering pace, likes to cut in from wide areas and possesses composure in front of goal. And, like Henry, he has attracted the attention of Europe’s biggest clubs by scoring plenty of goals. Unlike Henry, though, he is set to become the world’s second most expensive player – and he is still in his teens. 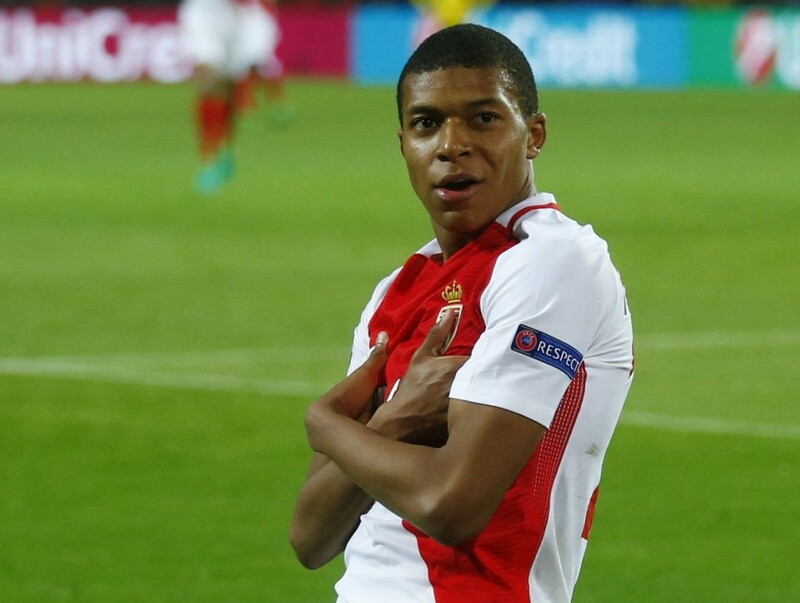 Mbappe, who was born on the outskirts of Paris and started out at his local team AS Bondy, made his first-team debut for Monaco in December 2015. Aged 16 years and 347 days, he became the youngest player in the club’s history – beating the record set by Henry in 1994 – when he appeared as an 88th-minute substitute against Caen. Three months later, he became the club’s youngest scorer with his first senior goal against Troyes. Who set the previous record? Henry. “Since he was very young, he was known everywhere in Europe as the prodigy,” said French football writer Julien Laurens. 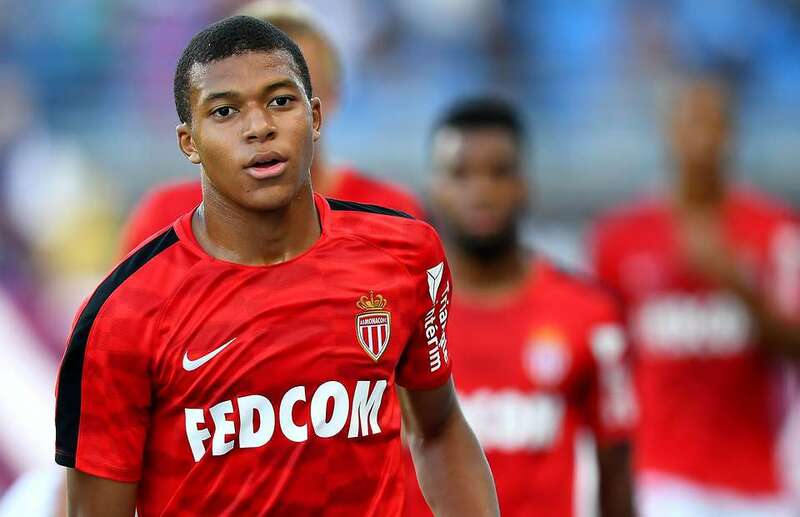 After helping France win the European Under-19 Championship in the summer of 2016, Mbappe returned to Monaco aiming to build on his breakthrough season and secure a more prominent role in the side. Coach Leonardo Jardim started the teenager in the opening Ligue 1 match of the season against Guingamp but he was substituted before half-time because of injury. His next start came on 21 October, scoring his first goal of the season in a 6-2 win against Montpellier, and he hit his first senior hat-trick two months later in a 6-0 win against Nancy. But it was not until the start of 2017 that Mbappe started to score regularly. Ten goals in nine matches, including one in each leg of their Champions League last-16 win over Manchester City, alerted a wider audience to his talents, and led to his first cap for France in a World Cup qualifier against Luxembourg in March. 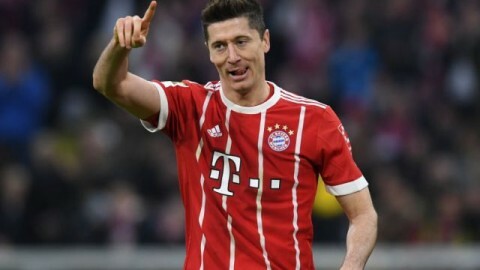 His stock continued to rise as he scored three times in the Champions League quarter-final win over Borussia Dortmund, but his first-leg goal against Juventus was not enough to prevent a semi-final exit. Mbappe also added five more league goals as Monaco won their first French title in 17 years, ending the season with more goals and assists combined than any of his team-mates. Only PSG striker Edinson Cavani and Lyon striker Alexandre Lacazette – who has since moved to Arsenal for £45m – had more of an impact in front of goal during the Ligue 1 season. “When I watch him dribble, he’s thinking. He thinks when he plays and that for me is the most important thing in a player. He uses his brain,” Henry said. “That is the sign of a kid who can go a long way. “I’d tell him to develop your brain and become a killer. Develop your brain, your intelligence and your movement. What can you see? When you watch a match, don’t just watch the ball, watch the movement off the ball. If Mbappe stays at PSG for 10 seasons, scores hundreds of goals, leads them to multiple trophies and becomes a global superstar, it could prove to be a bargain. But what happens if he does not settle? Or if he suffers a serious injury? “We always tried before signing to know everything about a player,” says Ramon Calderon, who – while working as Real Madrid president – was involved in the recruitment of several ‘Galacticos’. “We ask people who know him, how he behaves on and off the field. This is very important. We know they can come and be a failure if they don’t adapt to the city or the club. 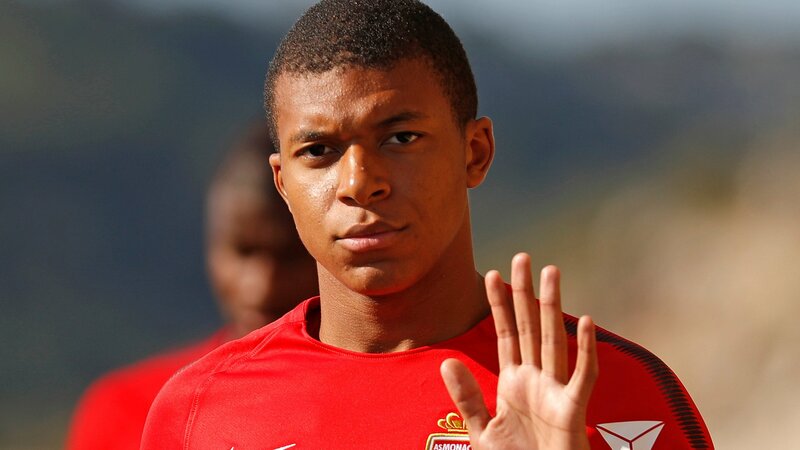 PSG will have done their research on Mbappe’s character “by any means possible”, according to Calderon, and the consensus from those who know the teenager is his feet remain firmly on the ground. Last season, while he was lighting up the Champions League, the 18-year-old was still living in a room at Monaco’s academy. His one luxury, it was said, was a TV with all the live football channels. When some of the world’s best managers are queuing up to moan about over-inflated transfer fees, you know it is becoming an issue. A record £1.4bn was spent by Premier League clubs in this window. Manchester City paid out more than £200m, but manager Pep Guardiola said he would “like to pay less for the club and for everybody”. Manchester United spent £146m, and manager Jose Mourinho said some fees were “amazing”. And that was even before PSG committed to spending a combined £365m on Neymar and Mbappe. Following Brazil forward Neymar’s world-record move from Barcelona, Wenger described the accelerating inflation in transfer fees as “beyond calculations and rationality”. Mbappe’s future fee represents a staggering 85% increase on the then-world record of £89m paid by Manchester United for Paul Pogba last summer. Supply and demand in a competitive market: Monaco wanted £166m and PSG – backed by the state-owned Qatar Sports Investments – were willing to pay it. Sounds pretty simple. But why are the Parisians willing to pay such a fee for an inexperienced teenager? Again, a pretty simple reason. Because the club’s hierarchy think the outlay will be recouped through sponsorship, television rights and success on the pitch, says Calderon. He was president at the Bernabeu between 2007 and 2009, laying the foundations for the then-world record signing of Cristiano Ronaldo before the £80m transfer was completed by his successor Florentino Perez in July 2009. “Spending a lot of money or not depends on what the idea of the club is,” Calderon said. Clearly PSG, who have spent almost £850m since Qatar Sports Investments took over in 2011, are thinking the same. Questions remain about PSG’s financial model: how can they afford to spend a combined £366m in transfer fees alone on Mbappe and Neymar? And how can they get away with it under Uefa’s financial fair play (FFP) rules? Indeed, European football’s governing announced on Friday it has opened a formal investigation into PSG as part of its “ongoing monitoring” of clubs. PSG made a profit of 10m euros (£9.2m) on revenue of 520.9m euros (£389.6m at the time of conversion) in the 2015-16 financial year, according to the most recent figures published by Deloitte. By FFP rules, clubs are only allowed to make a maximum loss of 30m euros over the three-year cycle between 2015-16 and 2017-18. So committing to a net sum of £366m on two players alone this summer – albeit Mbappe’s fee would be paid next year – appears to put PSG in jeopardy of breaking those laws. The six-time French champions have failed to meet FFP rules before – receiving a fine, a spending cap and only being allowed to register 21 players for the Champions League in 2014. 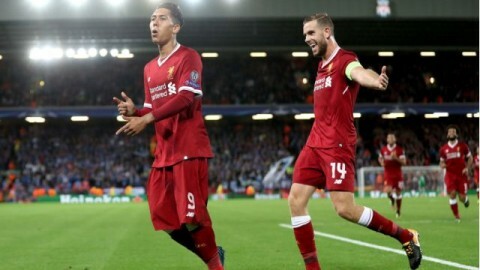 Kieran Maguire, a sport finance expert at the University of Liverpool, said he believes there are a number of ways in which PSG can balance the books to avoid a penalty. These could include striking new deals with shirt manufacturers, improved commercial deals – possibly with Qatari companies paying premium sums – or part of the players’ wages going through the books of another company. “I’m fairly sure PSG will have employed lawyers and financial advisers to identify potential flaws, weaknesses and loopholes in FFP,” Maguire says. “There is nothing to stop Neymar and Mbappe agreeing to sign for ‘only’ £65,000 a week and simultaneously sign an ambassadorial role for a Qatari company for £300,000 or £400,000 a week,” said Maguire. “If this is the case only the £65,000 a week would go through PSG’s accounts and FFP would be satisfied.